Spanish designer Francesc Rifé has designed the MUS Sofa for KOO International. 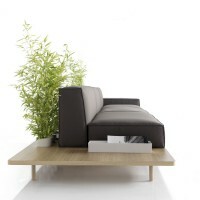 MUS is a modular sofa designed by Francesc Rifé for KOO International. Of clear Nordic inspiration, at the heart of the project is the wooden platform supporting the cushions. In symbolic terms, this pallet with a few sacks dropped on top is what gives the collection its identity. 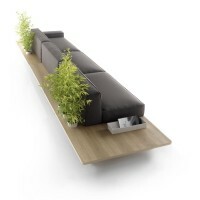 Composed of various elements, including a chaise lounge and puffs, MUS can go with auxiliary furniture such as coffee tables, side tables or accessories such as magazine racks and garden boxes. These elements add something of a human quality to the collection. MUS can be used to divide spaces and is aimed at both contract and home use. Visit the KOO International website – here.